Wondering what we have been up to over the last couple of months? Our Re.imagining Activism guide is now available, with French and Spanish versions on the way, and our reading list acquired some articles about changes in NGOs and campaign methods. Have you read our Re.imagining Activism guide and been inspired by the content? Are you wondering how to apply the knowledge and ideas to your work? Maybe you think that it is important to inspire colleagues and you want to get them involved in systemic change? Or you would like to try out some new methods for applying these ideas to your campaigns and strategies? A series of introductory modules to engage a new audience with the thinking of the Re.imagining Activism guide. A series of workshop modules to facilitate sessions and workshops with groups who want to have deeper discussions and explorations on selected themes of Re.imagining Activism. We are grateful for any feedback or suggestions you might have, especially after having used the material. In case you haven’t yet read the Re.imagining Activism guide or would like to order copies for your organisation or network, click here to order the copies you need, or here to download the free pdf version. 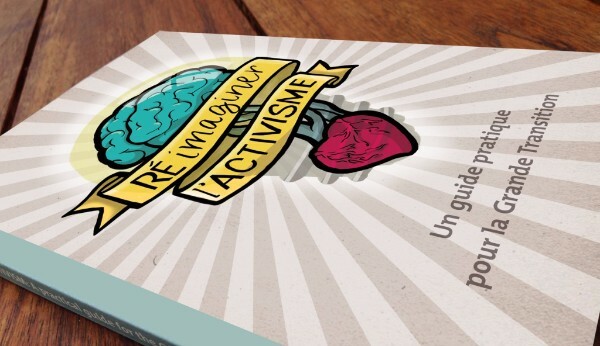 During the month of September we will launch the French version of the Re.imagining Activism guide: Ré.imaginer l’Activisme – Un guide pratique pour la Grande Transition. We will also print a limited number of copies that you will soon be able to order online on our website. If you would like to receive a bigger number of copies (10 or more) for your organisation or network, we require an advance order via email by September 20th. A Spanish version of the guide is in the pipeline.